How exactly can meditation be beneficial for mental health and well-being? It is like removing the cache from a computer. Gets rid of unwanted tsr, (terminate and stay resident), programs in the system. You might try it and find out first-hand. Or read a book about it. A nice short one I recommend is Focusing , by Eugene Gendlin, the first few pages of which explain that what the patients who make significant improvement in psychotherapy (as opposed to the ones who don’t improve much) tend to be doing (generally intuitively) is a kind of meditation, which that book then describes some simple lessons for developing the skill of. One simple view of one major method is you listen to your body, give it exclusive quiet attention and time, and in so doing, emotions and thoughts in your subconscious which for whatever reason generally don’t get attention, do, and a reorganization can heal, processing material and creating opportunities for healing that otherwise aren’t. It doesn’t work for everyone. For people who are successful, meditation can help them clear their minds and get to a level of calmness. For others, it’s more frustrating and annoying if they put in an effort and they never get to the level of peace internally. I have one personal acquaintance who tried to meditate – thought it would be helpful, but i gave her terrible headaches. So she stopped. The only way it would work for me would be if it included reading or listening to a book, listening to or playing music, and exercise, preferably at the same time. I am a person who lives in recovery from a serious mental illness, and I meditate daily. That along with a few other things keep me stable and give me the ability to work a full-time job and live a completely normal life. 2. Relax. Start from your toes, and relax all the way to the top of your head. Pay particular attention to your shoulders and face where we often hold tension. 3. Take 3 deep breaths into your belly and release them as far as you can. 4. Now breathe normally, and try to concentrate on the motion of the breathing. Concentrate on how your belly rises and falls. 5. Your mind will wander. Don’t fret. That’s completely normal. The mind’s job is to wander. Recognize the wandering, and then bring your concentration back to the motion of your breathing. 6. Your mind will wander again. Again, don’t fret. This is not failure. Again, recognize it and then bring it back to the breathing. 7. Do this over and over. A wandering mind is completely normal. After you’ve done this a while, you will begin to notice what things keep coming up in the wandering. These topics are good for therapy sessions. That’s it. In a nutshell, sit and breathe. 1. I take medication prescribed by a psychiatrist. 3. I go to therapy regularly. 5. I try to get good sleep. It alleviates stress and helps to calm the mind . @Hawaii_Jake congratulations for successfully dealing with your mental illness. The meditation technique you describe will help many. Though I no longer use this form of meditation, it helped me get through a very difficult period in my life. Now, each morning I sit on my porch and greet the morning with three deep breaths and slowly in my deepest voice say om with each exhalation. I listen to birds, watch clouds and note thoughts that float in and out of my consciousness. It helps me minimize symptoms of my type one bipolar disorder. @Bill1939 I am so glad to know it works for you. Meditation really is a valuable tool. How much of your time is completely free of input, in a regular day? If you meditate at home, what is your routine? 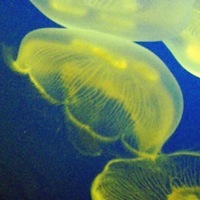 Jellies with mental illness: How do you stay stable? What kind of alone time do you need?